Red Boat Fish Sauce: Interview with the Craftsman and Give Away! It’s a story of man from a fishing village of Kẻ Vạn courting a woman, likely from the city. She’s concerned about life there and he assures her that his village may not have bountiful fields of rice and wheat, but has treasures of the sea. She should not fret, it only takes 3 barrels of fish sauce from the village to trade in the city center in order have enough money to freely spend on life’s pleasures. The story was set in a much different time and place but highlights how important fish sauce was to the Vietnamese culture at the time. But to be completely honest, even though we use it on almost daily basis, we are bit embarrassed to admit we actually don’t know much about Vietnamese fish sauce. So we did some research. It’s widely regarded that some of the best fish sauce in the world is from Vietnam particularly from Phu Quoc and Phan Thiet. It also struck us while shopping in the fish sauce aisle (yes, an entire aisle) in the Vietnamese supermarkets of Little Saigon that not a single bottle of fish sauce among the 30-40 brands available was made in Vietnam. Many bottles carried the label of Phu Quoc or Phan Thiet, but on closer inspection are actually made elsewhere, mainly Thailand. Is it possible that all these years of eating fish sauce, we never really tasted fish sauce from Vietnam? It was a sobering thought. Recently, however, we were delighted to receive a bottle of nuoc mam nhi, the first press and highest quality fish sauce from Red Boat Fish Sauce. One look and smell from the bottle was enough for us to know that Red Boat fish sauce was different from anything we’ve ever tasted. The first thing that struck us was a deep amber, almost reddish color which makes other fish sauce look quite brown and pale in comparison. The second thing we noticed was the more aromatic smell and taste, a more complex and satisfying flavor then previous brands we’ve tried. Finally, there’s a big 40N on the label, which turns out to be a grading system for fish sauce with N representing the nitrogen content, a measure of how much protein or anchovy is in the fish sauce—the higher the number, the more concentrated and presumably more pure. It was the first time we’ve seen the number designation on any brand of fish sauce. Comparing it with the Viet Huong Three Crab Brand, widely regarded as the “best” fish sauce for Vietnamese taste, we realized it wasn’t as pure as Red Boat fish sauce and contains added salt, sugar, and hydrolyzed wheat protein, an additive found in food and cosmetics. When Hong’s mom was in town, we presented her with a blinded taste test, but it was fruitless as she could tell immediately by the color which fish sauce was the real nuoc mam nhi. Of course, she preferred the Red Boat fish sauce over the three crab brand. Many brands claim to be from the first press or nhi, but we doubt they are. RC: Tell us about your interest in fish sauce and how did you decide to go into making your own fish sauce? CP: My mother’s cousins owned a fish sauce factory in Phu Quoc long long ago. As a child, I enjoyed very good fish sauce from that factory that was reserved for families and friends. It was pure and simple, first extraction (nuoc mam nhi), had a high protein level (40N) and no water added. After living in the States for so many years, I realized that the fish sauce here was not the same and I was never satisfied with the taste. I also could not find any fish sauce from Phu Quoc. In 2005, I went to Phu Quoc and tried the fish sauce from my friend’s family’s factory. It was so good that I brought back a few bottles for my friends and family. They loved it too and that’s when we decided to make the same quality fish sauce available in the States. RC: What difficulties did you come against working in VN and building building/expanding your own factory in Phu Quoc? CP: We expanded the local factory and added more barrels, so it’s not built from the ground up. It took much longer to than we thought to get the company started because the island lacks infrastructure and the building materials had be sourced from the mainland. RC: Why is it so hard to find fish sauce that is actually from Phu Quoc? Is it because there’s not enough Vietnamese fisherman or factories? CP: Phu Quoc fish sauce is in very high demand because of its taste and quality. It’s an artisanal product. Despite 200 factories and plenty of fisherman in Phu Quoc, the island only produces about 14 million liters per year– not even enough for the domestic Vietnamese market. Further, the Vietnamese fish sauce industry lost its footing in the US after the war due to the trade embargo. During the trade embargo, the Thailand fish sauce companies took over the market with cheap products. Since the best fish sauce has traditionally come from Vietnam, the Thailand fish sauce companies made it look like theirs was Vietnamese. Because the Vietnamese could not compete in the US, they found other outlets for their sauce beyond the domestic market like France. 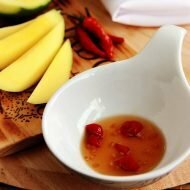 With the renewed interest in gourmet and artisinal products and the knowledge that Phu Quoc sauce is the best, I saw an opportunity to reintroduce premium Vietnamese back into the US. RC: Ca com is the type of anchovy you use. Do you buy it from the local fishermans and what have been the local response to Red Boat? CP: Yes, ca com is sourced from local fishermen and we pay a premium to get better quality fish. Good fish sauce starts from good anchovies with the right mix of salt. RC: How many locals do you employ at the factory? CP: There are 6 employees but during the busy season, we get more temporary workers. RC: What type of wood barrels do you use and how long do you ferment it for? CP: We ferment it for at least 1 year and average about 14 months in the barrels. The type of tropical wood used for the barrels are: “boi loi”, “den den”, and “chay”. Sorry I don’t have the english/scientific names for these type of woods. RC: Some might get a sticker shock when they see an $8 bottle of fish sauce. How do you respond to that? CP: It’s the old adage, “you get what you pay for”. Our quality speaks for itself which is why it is endorsed and recommended by enthusiastic home cooks, celebrity chefs, top food magazine and bloggers. While people today are not used to paying $8 for fish sauce, once they taste the considerably higher quality Red Boat Fish Sauce, we religiously convert consumers. The leading brand (3 Crabs) is sold for $3 at wholesale and retail at $4 but 3 Crabs is diluted with water and additives like sugar, wheat protein, etc…. 3 Crabs i’s not pure, has a lower protein content (25N) and is second or third pressing. In fact, one of the famous chefs mentioned that he thought that we sell our product too cheap, I am serious. We hope to be able to lower the price some when we reach economies of scale but Red Boat will always be a premium product. We don’t want to diminish our quality in any way. Our customers expect it and I wouldn’t offer anything less. RC: What is your goal for Red Boat fish sauce? CP: We’re the reference for the best fish sauce on the market now and we want to become the market leader. Red Boat says that there are 5 pounds of anchovies in each bottle of 40N fish sauce. 5 POUNDS! We have no doubts as a little goes a long way here. Sure, it might be more expensive then the leading brand but you’ll probably find you will use less fish sauce to achieve the same results. 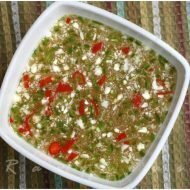 Like good olive oils, you reserve the best quality for dipping and making nuoc mam cham. 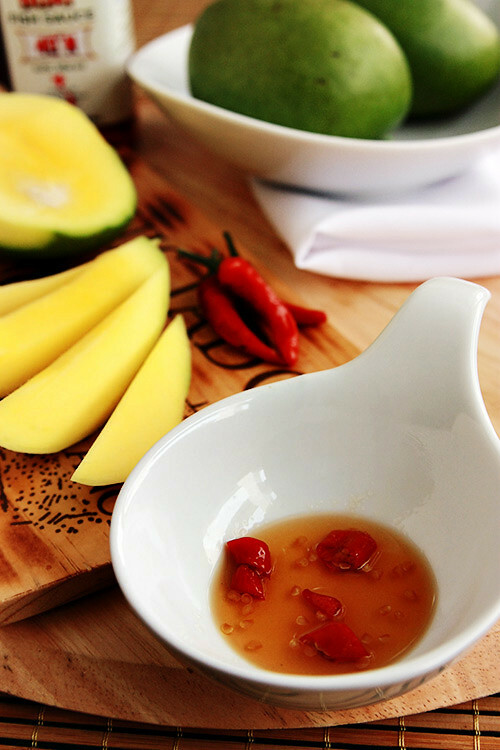 With the 40N bottle, we made a classic sweet, salty, and spicy dipping sauce often used to accompany sour fruits such as green mangoes. A 35N bottle is also available which is also a first press but has slightly lower concentration of anchovy. Coarsely crush the chile in your serving bowl or chop the chile in small pieces. Add the fish sauce and sugar and stir. It should taste and look like a golden molasses. Enjoy with sour green fruits such as mangoes, star fruit, or granny smith apples. Red Boat Fish Sauce can be bought online on their website. Nam Hoa Supermarket in Garden Grove, Sigona Farmer’s Market in Redwood City, New May Wah San Francisco, Manila Oriental Market San Francisco. Mr. Pham has generously donated 4 bottles of Red Boat Fish Sauce to four lucky readers so you can taste the quality yourself. Leave a comment about something new you’ve learned about fish sauce. Visit Redboat Fish Sauce to learn more. The mandatory entries must be done otherwise the bonus entries will not count. US addresses only. Contest ends in 1 week on 12 am pacific time Monday May 30th. Winners will be selected randomly and notified by email. Congrats to Christopher Sorel, Kimberly H. An P. and Thao D! 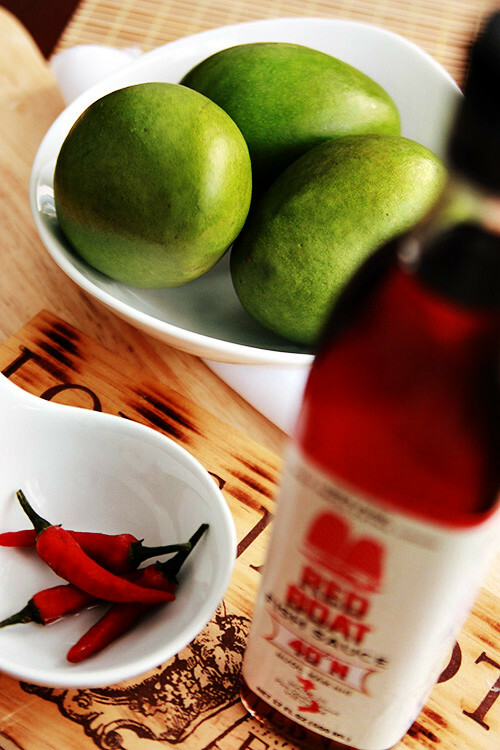 We hope you enjoy your bottle of Redboat Fish Sauce! Disclosure: We were not provided anything in return for hosting this giveaway aside from the product to sample. This is our entry to Delicious Vietnam, a monthly blogging event to celebrate Vietnamese cuisine created by Anh of Food Lovers Journey and ourselves! 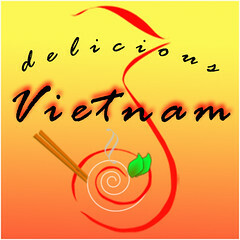 This month, Delicious Vietnam is hosted by Rau Om blog. I can’t believe one bottle takes 5 lbs of anchovies!!! Fish sauce should stored in the refrigerator after opening and be used within a year. I had no idea there was a rating for fish sauce or that most were made elsewhere other than Vietnam! I knew that it took a long time to ferment but for some reason one year to fourteen months was way longer than my concept of long. Thus is also makes sense that the types of wood would also be so important. I had no idea that it was fermented for so long! Love fish sauce. Didn’t know most was made in Thailand here in the US. Sorry, wrong email address attached. I love fish sauce! I had no idea that fish sauce was fermented for over a year. That explains its yumminess. Just did #1-5! @nerditry on Twitter. I did not know that there was a grading system for fish sauce! Awesome! The color looks gorgeous! Even more looking at the picture it’s a lot different from the three crab brand. Also learned that there are protein levels in nuoc mam. I’m a subscriber of the blog. Great giveaway you guys! A quality fish sauce can be hard to find if you’re not sure what to look for. I didn’t know most nuoc mam comes from Thailand. I can’t wait to bring home a bottle of Red Boat for my parents to try. I wonder if will conjure old memories for them?!? Did not know that the reason why there is a lack of Vietnamese-made nuoc mam in the United States was because of the trade embargo. Never knew that fish sauce was aged in the barrels for up to a year. Like wine! It looks very good, I’d like to try Red Boat since I’ve only had 3 Crabs. I didn’t know the higher the “N”, the more pure the product! I learned that anchovies go into fish sauce today! I subscribe to your blog and LIKE you on Facebook! I didnt know there was a grading system to fish sauce. :D I always use the 3 crab kind, but maybe I ought to try to find this fish sauce if I find it in the market. If it gets a 40, then WOW! I thought this was really interesting and made me worry about what I’ve been missing! I would like to get some so I can through my old stuff out! I didn’t know about the grading system for fish sauce with N representing the nitrogen content, a measure of how much protein or anchovy is in the fish sauce—the higher the number, the more concentrated and presumably more pure. I knew there were different quality levels of fish sauce, but never knew until now what made the difference. I miss the fish sauce I had in Vietnam! This sounds like it will take me back to that wonderful trip! I’m so glad this is available in San Francisco – I think I will have to get a bottle. I wish fish sauce makers would make a smaller size for us single girls! Especially since it’s supposed to only last for a year! I hate to throw out my bottles once the taste starts to deteriorate. Thank you for the post! What’s the difference between the 40N and 35N grades? Is 40N first press while 35N is the 2nd press? No. According to Mr. Pham: Our products are first pressing and pure (no water added). There are several grades for 1st pressing, ranging from 33N to 40N from our factory and we select those 2 grades for bottling. Better quality anchovies and the right mix of salt yields higher protein content in the sauce. Wow, I’ve liked your facebook page, been following your blog for years, and totally had no idea what goes into making fish sauce. I’ve been using 3 crabs brand for years, and I didn’t realize how much fish actually went into a single bottle. To know that Red Boat is pure anchovy and nothing else makes me really excited and happy to know that this high quality product is finally available in the states. 5lbs of fish really? Since I’m in GA, I will have to ask my mom to pick up a bottle in SF and send it out to me, or grab a bottle or two when I go back to visit. I love using it in fried rice. I enjoyed reading your article. I’m fond of Phu Quoc brand fish sauce perhaps because I was born and raised on the island as a young kid many years ago. Love your blog! That there are 5 pounds of anchovies in each bottle!!! Amazing! i never knew about 3 crabs. i’m actually surprised as that has a reputation of being one of the best! very eye opening your article is. I liked Red Boat on FB! 5lbs to make a bottle? Are you crazy?? Also, I can’t believe I am entering a giveaway for a bottle of fish sauce! We go through that stuff in my household like nobody’s business! I had no idea there was such a specific grading system for fish sauce. Now I am on a mission to check it out for myself! Wow, 5 lbs of anchovies in one bottle- that’s impressive and i’m sure tasty. I’d love to get my hands on some! The smell can be pretty intense sometimes but the flavour can’t be beat! I subscribe by google reader as well! That fish sauce is graded on a scale using counts of “N” which represent the amount of protein found in it. Nice to see what I’ve learned in school actually applies to the real world! wow, i didn’t know that it takes 5 lbs of anchovies for just one bottle! that’s crazy! no wonder nuoc mam is so potent! also, i never knew the fermentation process was so long. What a great giveaway! I just learned that fish sauce is created using a slow fermentation process in large tropical wood barrels. And I didn’t know that it was made out of anchovies! I like you guys on facebook already Julie D.
I like Red Boat Fish Sauce on facebook now. Julie D.
Its good to know that Red Boat is made completely of anchovies. Thank you for your insightful article. Hi. I didn’t know there was a grading system. I wish they’d make it a standard requirement for all the bottles. I’m subscribed to your blog, btw. An P.
Oh, and I’ve liked you on Facebook for a long time now 😉 -An P.
And finally, I now like Red Boat Fish Sauce on Facebook too. The founder shares my dad’s name, so I can’t help but like him and his company. Ha ha! -An P.
I Liked you on Facebook, Thanks An! LIKE you on facebook – Jacqueline N.
I tried it and it was superior compared to any other brands on the market. Two thumbs up for owner Cuong Pham. Keep up the good work. I knew fish sauce was fermented fish, but I had no idea that it took about 12-14 months! Thanks for the informative post…looking forward to share Red Boat Fish Sauce with my family. I am curious to see what my parents think of it since they were born and raised in Vietnam. I learned that not all fish sauce is created equally! Five pounds of anchovies in every bottle! Yowza! Ack! Three Crabs is diluted and has added junk?! I guess I’ve never really read the label. I can’t imagine the happiness my VN son would experience if I found a bottle of ‘real’ fish sauce. And I liked Red Boat on fb. I bought a bottle for my mom for mother’s day. SHE LOVES IT. and now that we saw the red boat commercials on the vietnamese television at Nam Hoa market, my mom and I are now an official costumer! That is $8 for the 35N the 40N cost $10. But that is still not bad when you considering that this is much better product. You can buy cheap olive oil but the good stuff cost a lot more. Koreans use a lot of anchovy sauce for making kimchi etc. I know a lot of Koreans who have started using fish sauce from Thailand. So why not get Vietnamese food lovers to start using the real thing. Its not like you use a whole bottle per serving. Can’t believe there’s 5 lb’s of anchovies in ONE bottle! I use the Three Crab brand of nuoc mam and did not realize it had the extra sugar and additives. I thought the 3 crab brand only added extra salt water to dilute the product. I didn’t realize it has other additives. I am a loyal fan and blog follower! I would LOVE to try this authentic fish sauce! Interesting to learn there is a grading system for how much anchovy is in there. I guess 3 crabs brand is not that great. Would love to try Red Boat. Just subscribed to your feed! Love your blog! I’m with most people that the amount of anchovies and the period in which they are fermenting are shocking large. And I’m subscribed through Google Reader! I was born with it in my veinnsss (aka im vietnamese). I didn’t know there was a rating system and that a lot of the fish sauce on the market is produced by Thailand and branded in a way to resemble Vietnamese fish sauce. I am surprised that I learned something new about making fish sauce, which is fish sauce has first press that is similar to Olive Oil first press that is known as Extra Virgin. Very interesting. I didn’t know fish sauce was rated. Already follow ‘Ravenous Couple’ on FB. I learned so much about nuoc mam. The rating, protein content, barrel aging, first press, etc. I’ve only been using the squid brand bc it’s cheap and it’s been ok for braising and what not, but recently learned it can make my broths, especially Pho sour. If Italians can charge premium for their olive oil, why can’t we charge premium for artisinal nuoc mam. I wonder how much better my food will be by using Red Boat!!!!!!! I liked Ravenous facebook. Thao D.
I liked Red Boat facebook. Thao D.
I subscribed to your blog! Thao D.
I love fish sauce! I also love to learn about languages, and was interested to learn that nuoc mam means “salted fish water.” Sometimes the yummiest things have the best names in the language of the culture that created it! I didn’t know so much fish sauce came from Thailand, even the PQ brand. Win or not, I plan to drive to Garden Grove to buy some. Soon. We already like RC on Facebook. Kim B. And now we’ve liked RedBoat, too! Kim B. …and we’re subscribed via RSS, too. Thanks and I hope I win one of those 4 fish sauce. Fish sauce will ALWAYS be part of our family. It is one of the “MUST” have sauce in every kitchen. Always love your facebook page. You bring us together across the world with your cooking. New RedBoat fan on facebook. WoW! I didn’t realize a lot of nuoc mam brands are from Thailand. Hmm… I know that the usual nuoc mam at the groceries are like the nth press, but I’ve always thought that nước mắm nhĩ is the *second* press (nhĩ: a distorted version of “nhị”, or “second” in Han Viet) because I remember my mom told me that she once tasted a special nuoc mam that looked like honey (the color and the texture) and tasted almost like honey, and it was the first press. Its concentration makes it so rare that the nuoc mam makers don’t sell it but keep it for use at home. Have you heard of this type of nuoc mam? Mai, we love your family story about fish sauce. Semantics and translation aside, Red Boat is true first pressing and the 40N product has a dark amber and reddish color that is distinctive from the others, pours more like a light maple syrup than water due to the extra rich protein content, and has a naturally sweet taste on the finish. Fish sauce of this quality rarely makes it far from Phu Quoc Island as most producers on the mainland blend this with fish sauce from other regions and with other ingredients to make it go farther. 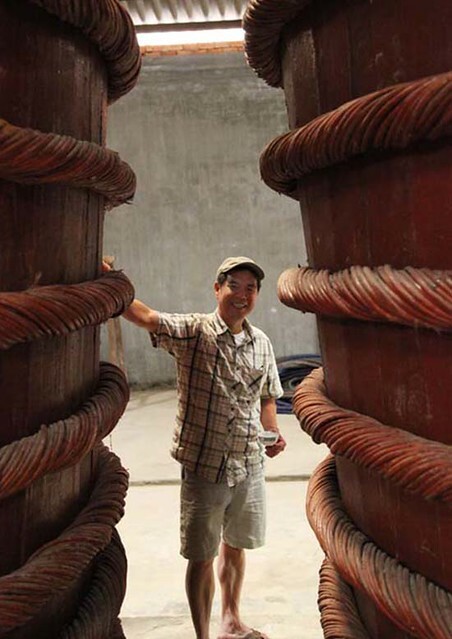 Our founder Cuong was inspired to create Red Boat from similar stories including one where his family would bury this top quality fish sauce in clay pots to save and protect for special occasions. We would love to have you try Red Boat so you can decide if this is the flavor that held so strong in your mothers memory. Great recommendation, Hong and Kim! 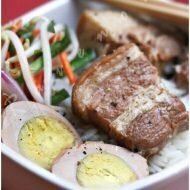 I tried with thit gau and nai: http://corksoutdoors.com/blog/bear-and-venison-bun-cha-hanoi-on-the-red-boat/ Delish! I learned that it’s amazing the awful stuff they put in most fish sauces. And I learned that Red Boat is where it’s at!